It is, therefore, worth noting that Richard Dawkins, the world’s most famous atheist, does not actually call himself an atheist. In a debate earlier this year with Rowan Williams, the Archbishop of Canterbury, Dawkins surprised some by his reaction to a statement made by the Archbishop. During an exchange, Rowan Williams referred to Dawkins as the world’s most famous atheist. Dawkins responded by saying that he is not an atheist, but rather considers himself an agnostic (http://www.dailymail.co.uk/news/article-2105834/Career-atheist-Richard-Dawkins-admits-fact-agnostic.html). To be fair to Richard Dawkins, he later made it clear (as did many of his devotees) that this did not represent a shift in his views. Apparently, the world’s most famous atheist has really been an agnostic all along. Let’s unpack some of the implications of this. First, let’s clarify the two terms. An atheist believes that there is no God. An agnostic affirms that one can never know for certain whether God exists or not. Notice the two terms atheist and agnostic both begin with the so-called ‘privative a’ (sometimes called the privative alpha). This is a feature in ancient Greek and in Sanskrit which gets transported into English and a few other languages which use the prefix “a” to negate what follows. The word theist, for example, means one who believes that God exists. By placing a privative ‘a’ prefix on the word ‘theist’ an a-theist is one who does NOT believe in God. This is also true with the word agnostic. A close examination of the word ‘agnostic’ reveals that the root word is the word ‘gnosis,’ the Greek word for “knowledge.” The privative ‘a’ attached to the word for knowledge means, quite literally, “no knowledge.” An agnostic is one who has “no knowledge” about whether God exists or does not exist. Richard Dawkins explains his agnostic position by saying that it is impossible to “prove” that God exists, so the corollary must also be true; namely, that it is impossible to “prove” that God does not exist. This seems to concede the very point that many of us have made to our atheist friends; namely that propositions such as “God is” or “God is not” fall outside the normal boundaries of scientific discovery and enquiry. To use C. S. Lewis’ famous analogy, it would be like trying to find Shakespeare in a Shakespeare play. Shakespeare is the author of the whole play and therefore transcends it all. As philosophers and theologians often point out, scientists may be excellent at physics, but metaphysics is outside their remit. In fact, the very fact that the proposition “God does not exist” cannot be scientifically proven, means that (by their own testimony) there really are no atheists in the world. There can only be agnostics. Let me explain. Because atheists live in what Francis Schaeffer used to call a “one story” universe, they have no access to any knowledge outside of empirically confirmable data. Since God transcends the empirical world, then they are only left with “no knowledge,” i.e. agnosticism. Christians, in contrast, live in a two story universe where God has chosen to reveal himself through creation, scripture, the incarnation, and so forth. Thus, we have access to knowledge which transcends what can be known through empirical scientific enquiry. Thus, we can be theists, but they can only be, agnostic. Since no one can prove that God does not exist, there can be no atheist in the world. Thousands of so called atheists, in atheist blogs and books and so forth should come clean and call themselves the “new agnostic” movement. Even Richard Dawkins’ book, The God Delusion should be reprinted as a question, not a statement. It should be, The God Delusion? since Dawkins cannot prove (by his own testimony) that belief in God is delusional. He clearly thinks so, but he cannot know for certain. 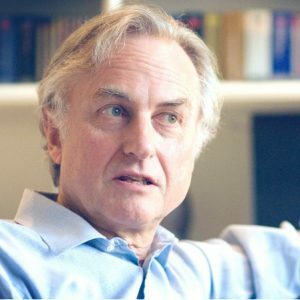 Richard Dawkins (and all the host of atheists, er… agnostics, who are out there) have given their lives to a negation; namely they have committed themselves to the proposition that one cannot know for certain if there is a God. It is, to put it bluntly, a ‘knowledge about no knowledge.’ I am sure that there are many honest people who affirm such a non-affirmation. But, surely it is clear that the legs of such a world-view cannot carry one too far.